Match ends, VfB Stuttgart 1, FC Augsburg 0. Second Half ends, VfB Stuttgart 1, FC Augsburg 0. Substitution, VfB Stuttgart. Chadrac Akolo replaces Erik Thommy. Attempt blocked. André Hahn (FC Augsburg) right footed shot from outside the box is blocked. Assisted by Caiuby. Offside, FC Augsburg. André Hahn tries a through ball, but Sergio Córdova is caught offside. Corner, FC Augsburg. Conceded by Marc-Oliver Kempf. Corner, VfB Stuttgart. Conceded by Andreas Luthe. Attempt saved. Erik Thommy (VfB Stuttgart) right footed shot from outside the box is saved in the bottom left corner. Attempt saved. Erik Thommy (VfB Stuttgart) left footed shot from outside the box is saved in the top right corner. Assisted by Nicolás González. Offside, VfB Stuttgart. Santiago Ascacibar tries a through ball, but Emiliano Insúa is caught offside. Substitution, FC Augsburg. Marco Richter replaces Rani Khedira. Attempt missed. Santiago Ascacibar (VfB Stuttgart) right footed shot from the right side of the box is just a bit too high. Assisted by Nicolás González. Attempt blocked. Erik Thommy (VfB Stuttgart) right footed shot from outside the box is blocked. Assisted by Emiliano Insúa. Attempt blocked. Erik Thommy (VfB Stuttgart) left footed shot from outside the box is blocked. Attempt blocked. Erik Thommy (VfB Stuttgart) right footed shot from outside the box is blocked. Raphael Framberger (FC Augsburg) is shown the yellow card for a bad foul. Substitution, VfB Stuttgart. Erik Thommy replaces Mario Gomez. Delay in match Ron-Robert Zieler (VfB Stuttgart) because of an injury. Dangerous play by Caiuby (FC Augsburg). Timo Baumgartl (VfB Stuttgart) is shown the yellow card for a bad foul. Raphael Framberger (FC Augsburg) wins a free kick in the attacking half. Attempt missed. Nicolás González (VfB Stuttgart) left footed shot from outside the box is close, but misses to the right. Assisted by Santiago Ascacibar. Attempt missed. 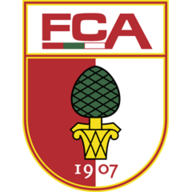 Sergio Córdova (FC Augsburg) left footed shot from outside the box misses to the left. Assisted by Michael Gregoritsch. Attempt blocked. André Hahn (FC Augsburg) right footed shot from the centre of the box is blocked. Assisted by Raphael Framberger. Attempt saved. André Hahn (FC Augsburg) header from the centre of the box is saved in the top centre of the goal. Attempt missed. Michael Gregoritsch (FC Augsburg) left footed shot from outside the box is too high. Assisted by Sergio Córdova. Hand ball by Santiago Ascacibar (VfB Stuttgart). Substitution, FC Augsburg. Sergio Córdova replaces Julian Schieber. Substitution, FC Augsburg. André Hahn replaces Ja-Cheol Koo. Attempt blocked. Caiuby (FC Augsburg) left footed shot from outside the box is blocked. Assisted by Ja-Cheol Koo. Attempt saved. Martin Hinteregger (FC Augsburg) header from the centre of the box is saved in the centre of the goal. Assisted by Philipp Max with a cross. Corner, FC Augsburg. Conceded by Benjamin Pavard. Attempt blocked. Michael Gregoritsch (FC Augsburg) left footed shot from outside the box is blocked. Assisted by Ja-Cheol Koo. Attempt missed. Caiuby (FC Augsburg) right footed shot from outside the box is too high. Assisted by Michael Gregoritsch. Corner, FC Augsburg. Conceded by Santiago Ascacibar. Second Half begins VfB Stuttgart 1, FC Augsburg 0. Substitution, VfB Stuttgart. Emiliano Insúa replaces Anastasios Donis. First Half ends, VfB Stuttgart 1, FC Augsburg 0. Attempt missed. Christian Gentner (VfB Stuttgart) right footed shot from outside the box is high and wide to the right. Assisted by Santiago Ascacibar. Goal! VfB Stuttgart 1, FC Augsburg 0. Anastasios Donis (VfB Stuttgart) right footed shot from the centre of the box to the bottom left corner. Assisted by Andreas Beck. Attempt missed. Caiuby (FC Augsburg) left footed shot from outside the box is high and wide to the left. Assisted by Ja-Cheol Koo. Attempt saved. Ja-Cheol Koo (FC Augsburg) right footed shot from outside the box is saved in the top centre of the goal. Assisted by Michael Gregoritsch. Offside, VfB Stuttgart. Benjamin Pavard tries a through ball, but Christian Gentner is caught offside. Attempt blocked. Andreas Beck (VfB Stuttgart) left footed shot from outside the box is blocked. Santiago Ascacibar (VfB Stuttgart) is shown the yellow card. Julian Schieber (FC Augsburg) is shown the yellow card. Attempt missed. Martin Hinteregger (FC Augsburg) left footed shot from more than 35 yards misses to the right. Assisted by Daniel Baier following a set piece situation. Attempt blocked. Julian Schieber (FC Augsburg) left footed shot from outside the box is blocked. Assisted by Michael Gregoritsch. Julian Schieber (FC Augsburg) wins a free kick in the attacking half. Attempt saved. Michael Gregoritsch (FC Augsburg) left footed shot from the centre of the box is saved in the centre of the goal. Assisted by Julian Schieber. Anastasios Donis (VfB Stuttgart) wins a free kick in the attacking half. Caiuby (FC Augsburg) wins a free kick in the defensive half. Attempt missed. Michael Gregoritsch (FC Augsburg) header from the centre of the box misses to the right. Assisted by Philipp Max with a cross following a corner. Offside, VfB Stuttgart. Santiago Ascacibar tries a through ball, but Anastasios Donis is caught offside. Attempt blocked. Ja-Cheol Koo (FC Augsburg) left footed shot from outside the box is blocked. Corner, FC Augsburg. Conceded by Nicolás González. Attempt missed. Nicolás González (VfB Stuttgart) header from the centre of the box is too high. Assisted by Dennis Aogo with a cross following a corner. Attempt blocked. Santiago Ascacibar (VfB Stuttgart) right footed shot from the right side of the box is blocked. Assisted by Anastasios Donis with a headed pass. Attempt missed. Philipp Max (FC Augsburg) left footed shot from more than 35 yards is too high from a direct free kick. Raphael Framberger (FC Augsburg) wins a free kick in the defensive half. Attempt missed. Dennis Aogo (VfB Stuttgart) left footed shot from outside the box is close, but misses to the left following a set piece situation. Attempt missed. 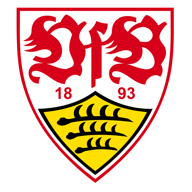 Nicolás González (VfB Stuttgart) right footed shot from the centre of the box misses to the right following a set piece situation.